Please join us at the American Irish Historical Society for an afternoon recital with some of Irelands most gifted young soloists along with the Niall O’Leary School of Dance NYC on Thursday May 31st at 1PM. 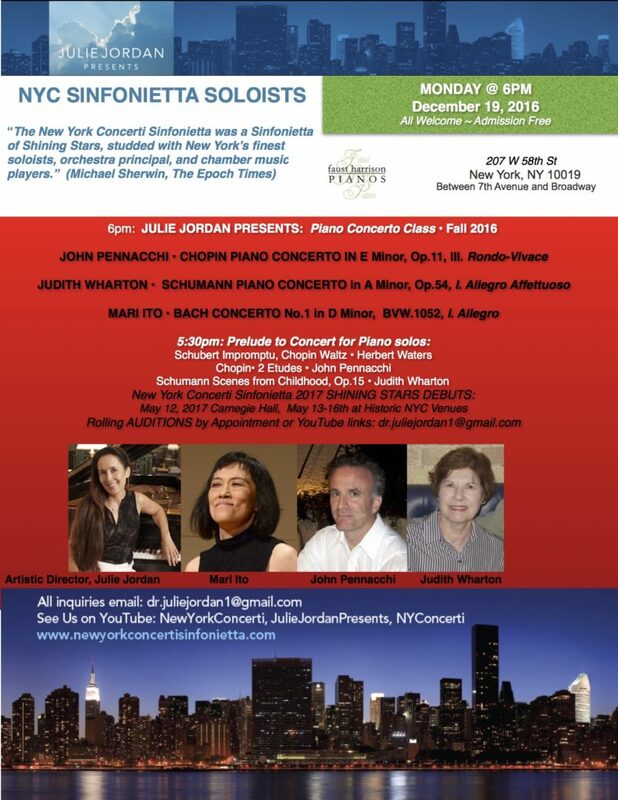 This performance will be a preview of their Carnegie Hall Performance on June 1st. 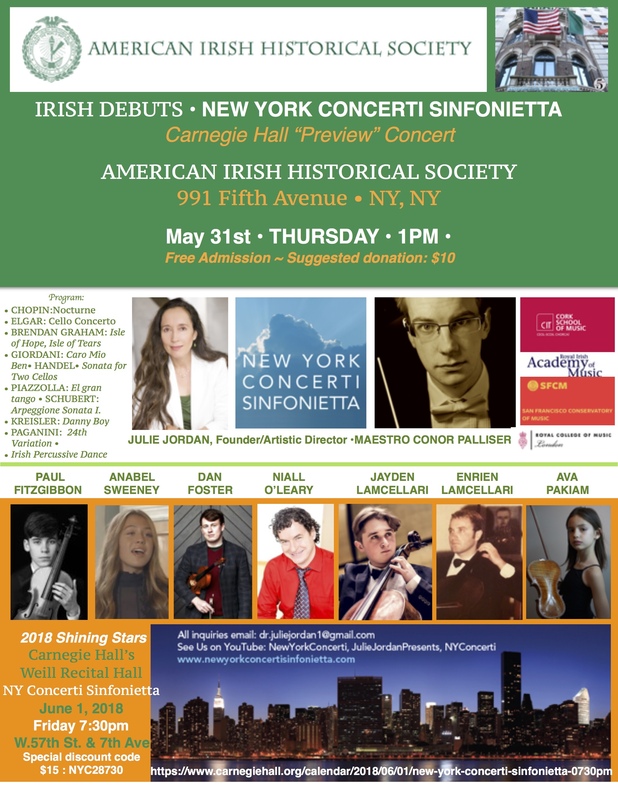 With thanks to American Irish pianist JULIE JORDAN, Artistic Director and Founder of New York Concerti Sinfonietta continues to present gifted Irish soloists in their Carnegie Hall debut. The winners are chosen from the ongoing International Shining Stars Debut auditions offered by American Irish pianist Julie Jordan, who is the Founder and Artistic Director of the New York Concerti Sinfonietta. 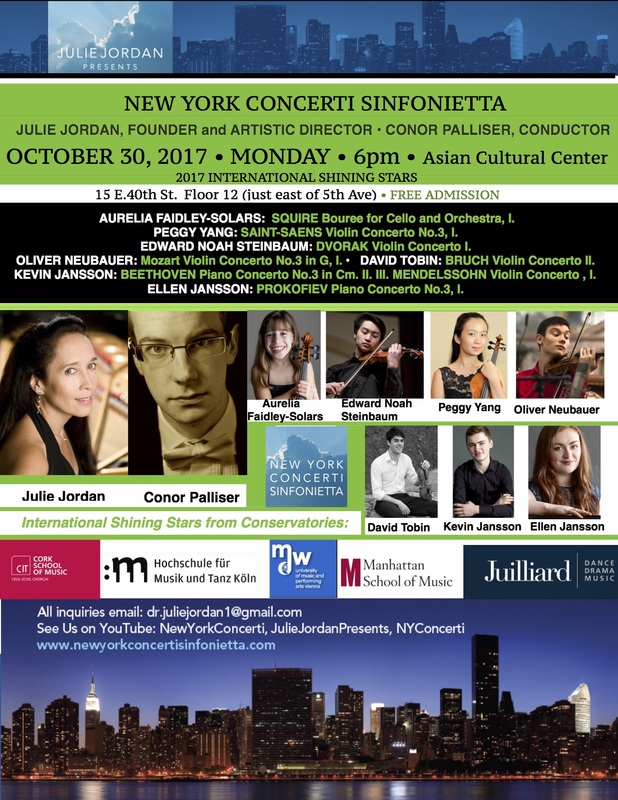 Julie Jordan, a Steinway Artist and Juilliard Piano Faculty in the Evening Division 1985-2015, has awarded over 30 Irish soloists to date in music, dance and drama for their NY debut in Carnegie Hall. 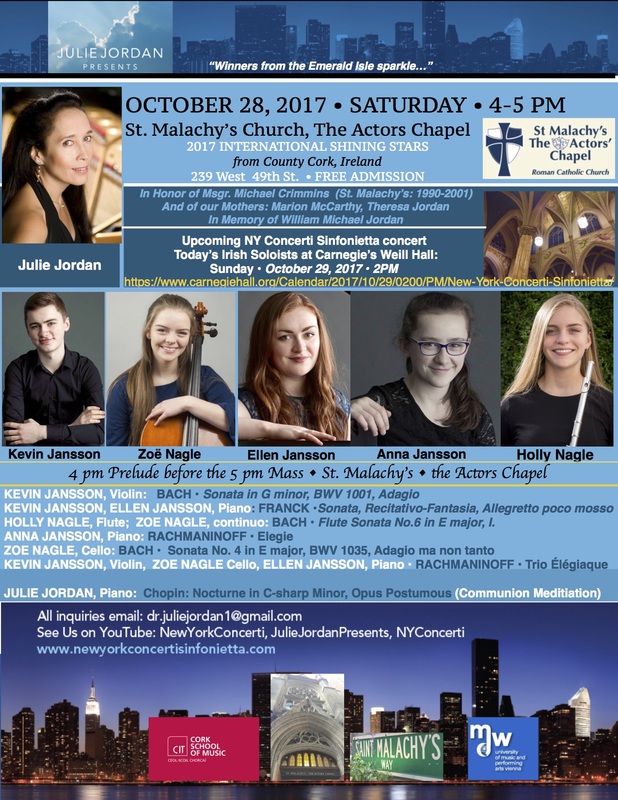 Julie Jordan began her Irish Festival in 2015 in honor of her Irish grandparents from Co.Mayo. “…Dr. Jordan’s father is of Irish descent. Last May, in a series of three New York concerts, Dr. Jordan displayed the first fruits of her new collaboration with the Royal Irish Academy of Music in Dublin. For the current Irish Festival, Dr. Jordan auditioned contestants in Ireland as well as the United States, comprising a variety of nationalities and geographical origins. 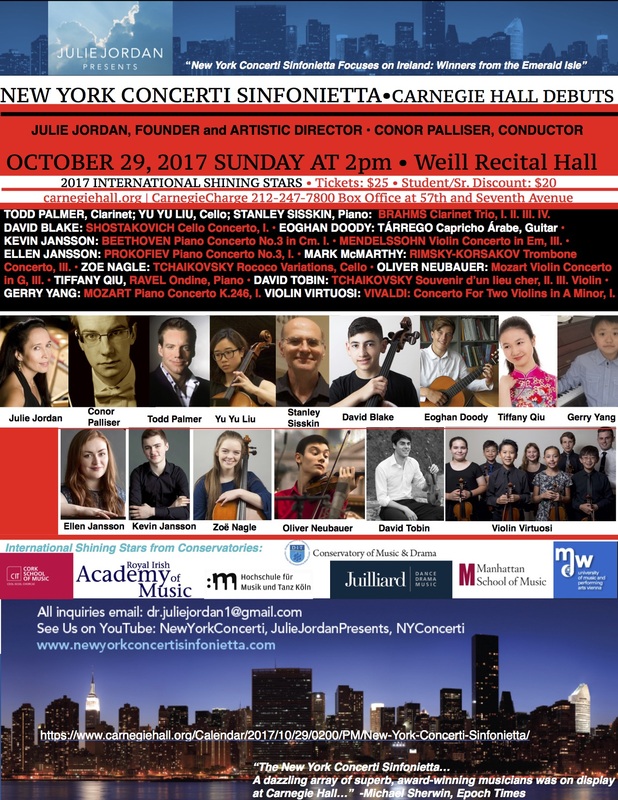 The Festival distinguished itself by presenting newly discovered competition winners of impressive attainment, various child prodigies whose musicality and insight belied their chronological age, and special guest appearances by world-class celebrity artists. On Oct. 7, the initial presentation of the Irish Festival was given at—appropriately enough— the Irish American Historical Society on Fifth Avenue. A capacity audience was on-hand for an absorbing two-part program.